Shipping & Handling is included in price. Any little girl or boy would be proud to use this colorful, decorated backpack. 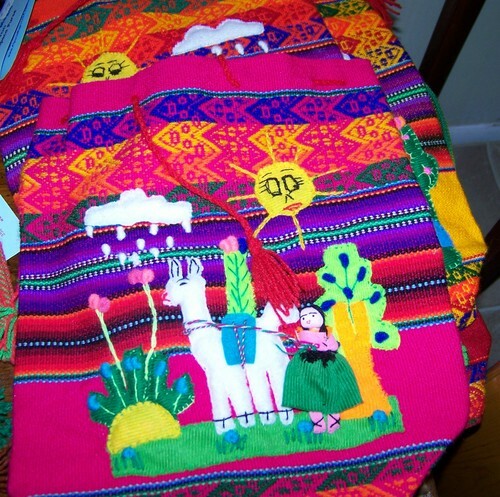 Hand-created in the Peruvian culture colors and designs using alpacas and other playful characters. Each one is unique since they are all hand done. Call/email me and I'll send you a few pix so you can pick out the one you like best!